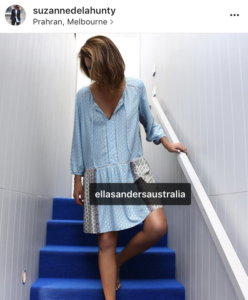 Make sure you are tagging locations and any brands that may be pictured in the photo to get in front of people in your area/niche – they will be the people interested in that area and the same brands as you (potential customers!). There is a lot of controversy around “Follow You, Follow Me” strategy based on the premise that Instagram is now getting too inauthentic. It is a way to get brand exposure. The problem with this is that it is now getting slightly annoying because everyone is doing it. Therefore, people who are on those lists are also probably just other businesses doing the same thing. So the number of genuine followers that are interested in your product might not be great, but you will definitely increase your following this way. If you choose to do this you need to be very careful not to follow too many people per day as Instagram has started “shadowbanning” which means that they will freeze your account if you are picked up by their algorithm and spam filters. This can be for things such as too much activity in a short amount of time. Are your posts getting likes, comments and shares? If so, then the audience is genuine. (And I’m not talking about the ones that comment “Great pic! Check out my page”.) They are writing this on everyone’s page as a way to get numbers. You definitely need to engage on Instagram with other people’s feeds, but do it in a more genuine way. Comment on photos you actually like and say something more than “Nice pic”. 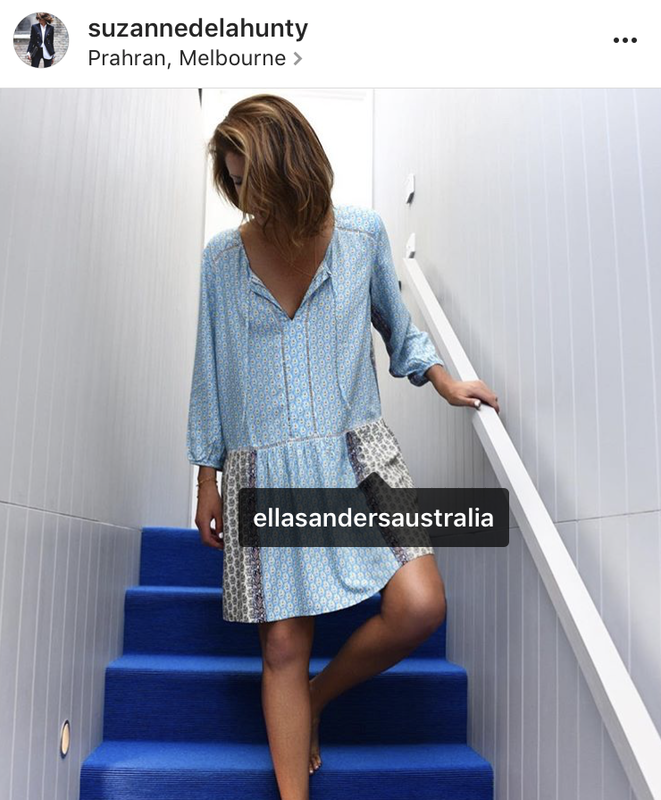 Influencers are people with a big Instagram following. So ask yourself – who is getting in front of my target audience? Contact them and think of ways to collaborate. Check that their engagement is high by looking at a number of genuine comments and likes that they receive per post. 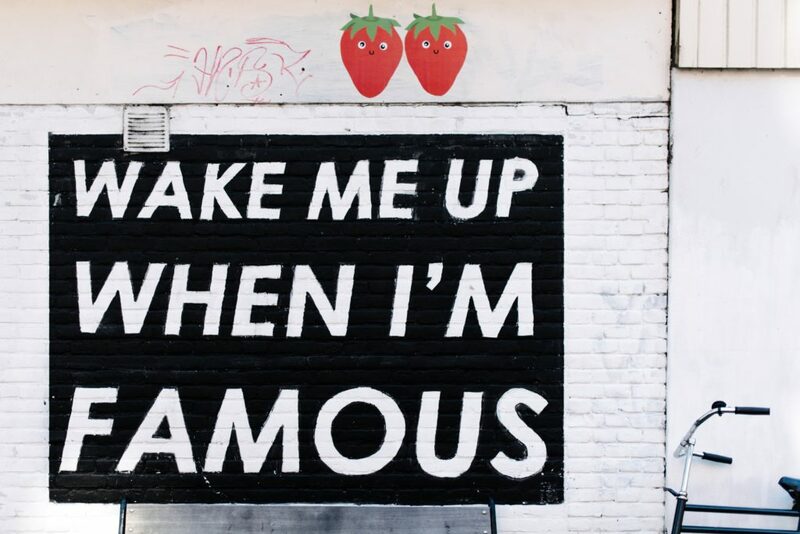 You will most likely need to pay these people to post about your product but some influencers who have high engagement and low followers may do it for a free product or service. Get in contact with a few influencers and get some quotes first. Below is a photo of an Influencer in the fashion industry that I arranged to wear one of my client’s dresses. She has a lot of followers but more importantly, her engagement is high. I highly recommend this approach. It works (if you choose the right Influencer)! There are so many ways that you can collaborate with other brands and people. You need to think outside the box depending on what the product or service is. A good tip I got from Dan Norris was to find accounts that post quotes from other people’s accounts and contact them to see if they will share your branded quote (or tag you). Another way to collaborate is “Share for Shares” Contact other brands that might complement yours and offer to share a post on their behalf if they will do the same for you. Instagram has recently changed its algorithm to try and pick up on the not-so-genuine accounts. So if they sense you have too many hashtags, you’re out. So have around 5 hashtags and keep them in your actual post rather than creating a second post to include them. Choose a mixture of hashtags with a lot of posts and some with a few thousand. For hashtags such as #instagood (which has nearly 700,000,000 posts), your post will be at the top for a few seconds! Literally! I recommend once a day, however, some big brands post 3 or more. Don’t post for the sake of it though, the content must be quality and add value. Keep trying and testing different types of posts as well as different posting times to get the right formula. So there you have it! If you have any questions at all, please post below and I will be happy to answer.